it’s How to Control Gadget Addiction in Kids . Parenting in Digital age is too tough . In our times we used to spend lots of time outdoors , playing with friends , playing lots of outdoor games like badminton, throw ball , cycling , running etc but now a days kids spend less time outside . Because in the change in lifestyle and burden of home works they spend more time indoor and ultimately they are hooked either to television or some gadgets like smart phones or iPad etc . Parents are increasingly concerned that screen time is robbing them off real world experience . Apart from having health issues we are also concerned about child safety because of the numerous online frauds and crimes . So we need to find some ways to reduce this gadget addiction in kids . *They should be encouraged to make friends in neigborhood and play with kids of their age . *They should be encouraged to play lots of outdoor games when ever possible . *At home also we should try to engage them in some creative activities like Drawing , Painting , other Art & Craft activities etc. *We should give them some good toys ( specially learning ones ) to keep them engaged in their free time and also it would help them to learn new things . Now a days market is flooded with toys of all kind . Staring from top international brands to local ones ,we have everything in all price range. The expensive ones as well as the cheap ones . Now buying a toy for your kid is not as simple as it looks . When we are giving our kids some toys , we should be sure of its quality as cheap ones can cause health hazards because of chemicals and paints in it . Many toys have batteries in it , which means it contains chemicals like Zinc Chloride , Lithium etc . So it’s unsafe to make small kids play with these ( Swallowing a battery can be Fatal ) . Some of the plastic toys have very small pieces which can cause choking hazard . Many toys do not have very smooth edges which can hurt a child , better not to buy such toys . Wooden Toys are a Great option for our kids. 1.There is much less chemical toxicity in wooden toys . 2.They are made of natural material and are safer . 3.Wood has an interesting texture and wooden toys are smooth . 4.They are environmental friendly . 5.They can be used for a longer time than plastic toys as they do not break easily . 6. 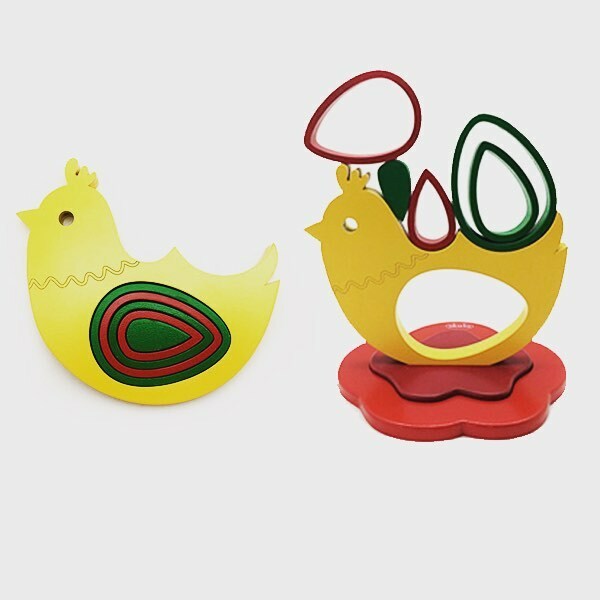 Many wooden toys are also learning toys so can be easily given to small kids & toddlers . So Lets explore some Wooden Toys . Today I will be Introducing a Toy Brand which has unique range of learning toys for children between the age group of 1 to 8 years . Lets see some of its toys , made up of wood with lots of love & care for small kids . It’s a beautiful threading board shaped like a paint palette with a brush like needle . Threading activity is extremely soothing and helps to build concentration and also increases attention span . 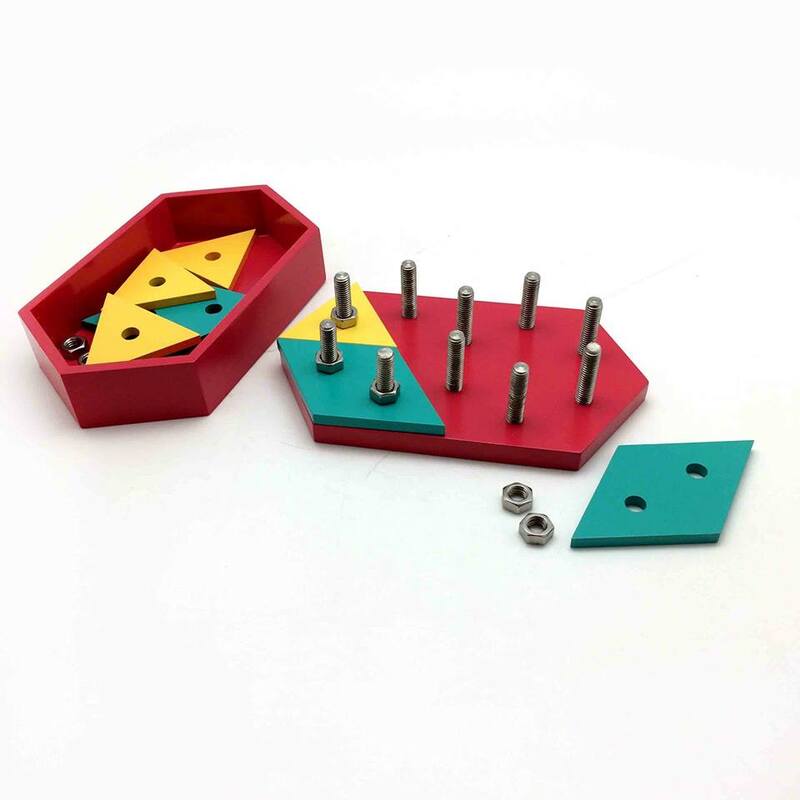 This is a sensorial and creative toy where patterns are locked in using nuts and bolts provided . It has rhombus & triangle pieces . Can help kids learn various shapes . 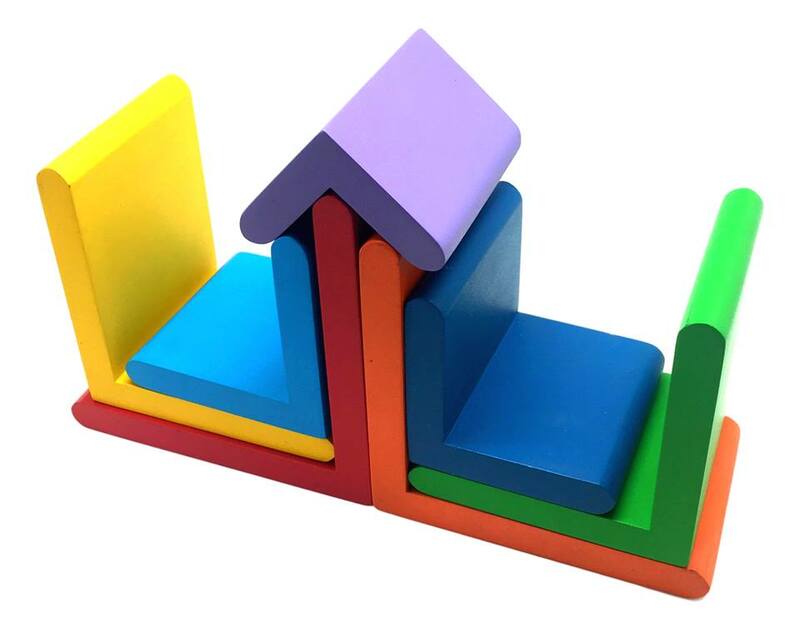 This is a wooden toy to arrange pieces and make home . This is a Stacking Toy . 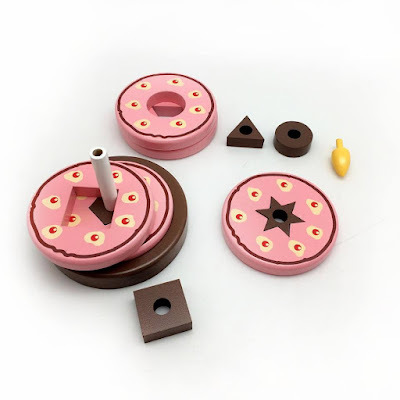 It has several circular discs and kid need to stack them one upon another . This is an interesting toy which helps to develop the art of balancing . 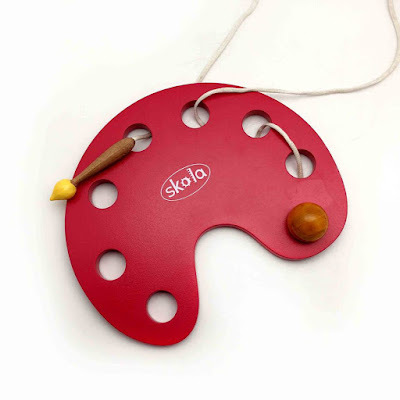 So these were interesting & unique toys from Skola . I loved them all . A great way to keep our kids engaged in some good activities and keep them away from gadgets . Hope You all liked this post and found it useful , Do share your views on Wooden Toys if you had used any .